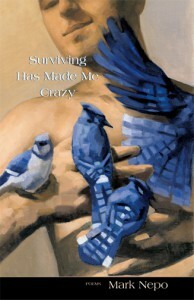 This book gathers the teachings from the first eighteen years since I was first diagnosed with cancer. The truth is I have never been the same. In some ways, I am still stunned to be here. And but for a hiccup of God, I could be dead and one of those I’ve loved and lost along the way might be writing this to you. So, this is not a book on how to get past illness. I’ve never gotten past it. Rather, it has turned me inside out. More humbly, this is a blanket of twigs and berries gathered on my way through the long forest. They are the few things that haven’t gone bad. And no matter how little there seems to be, I now know, it is enough. There is plenty for everyone. If the twigs can light a fire and the berries feed you, something will have passed between us. These poems have been ripening for a long time. Ever since I awoke from my surgeries, I have been learning how integrated and useful everything is. And so, this book is not separated into cancer poems and living poems. It is not arranged chronologically, but more as a mix of then and now, as they are never far from each other: the wound and the healing, the fear and the peace, the confusion and the clarity. This is what I have to offer. You see, the handles to all my cups have been broken off, so that I might learn that to touch and to drink are the same thing. These poems are such handle-less cups. 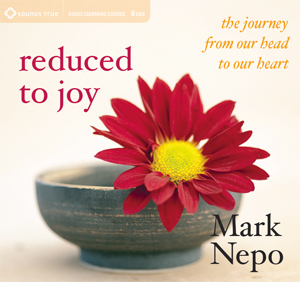 Mark Nepo is a Great Soul. His resonant heart–his frank and astonishing voice–befriend us mightily on this mysterious trail. These are words to live with, by and among–with deepest gratitude. These poems are medicine. They have offered me the gift of companionship and guidance as I sort through the meaning of my own loss, my own resistance to change, and the transformations of self and spirit that await if I am open to them. How does it feel to walk beside someone who presumes an earthy, unfathomable grace within every single moment? Mark Nepo’s poems leech medicine from deep within each wound. 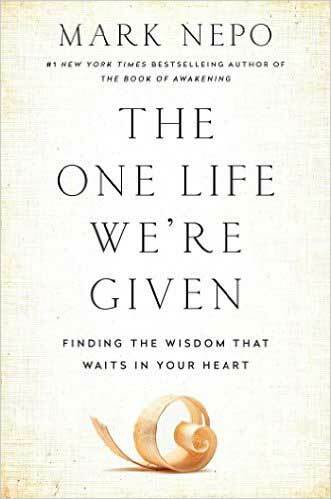 They calibrate our heart’s careful attention so we may witness the reassuring alchemy that enables illness to live as healing; where brokenness emerges as wholeness. And most importantly, we feel how darkness, deliberately saturated with precise and loving awareness, can actually become light. 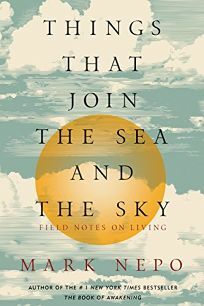 — Wayne Muller, author of Learning to Pray, Sabbath, and How, Then, Shall We Live?